Major shake ups have been made within the hierarchy of the Presbyterian Church in Cameroon, PCC, witnessing the replacement of some top officials. Long serving PCC Communication Secretary, Rev. Achowah Umenei, has been replaced by Rev Pastor Thomas Mokoko Mbue, who holds a Masters Degree in Mass Communication and has been serving as pastor of PC Buea Station. Rev. Umenei: Outgoing Comm. Sec. Baboni aka Mugabe: Outgoing Educ Sec. 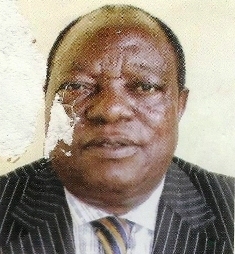 PCC Education Secretary, Joseph Baboni Che, was replaced by Samuel Njie Kale, hitherto Principal of Presbyterian Comprehensive Secondary School, PCSS, Buea and the Health Secretary, Godlove Nubed Tanyi, who has occupied that post from inception in 1995, was substituted by Dr. Simon Nchifor, former Director of Bamenda Regional Hospital. 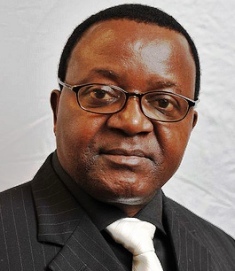 The Development and Landed Property Commission Secretary, Denis Kumbo, was maintained, while PCC Moderator’s Private Secretary, a new post that has been introduced on the organisation chart, will be manned by Rev. Aboseh Ngwana. Aboseh will be manning the new post in conjunction with the post of Parish Pastor of PC Buea Station. The PCC Budget Controller, James Ako-Egbe, is now the Finance Controller, while the Moderator’s representative in the Northwest, Rev. Ignatius Jum is maintained. He is also going to be the Director of Mankon Church Centre. Meanwhile, four months ago, the PCC Financial Secretary, William Abange was replaced by Mrs. Ines Nsame Mbongo. Going by the PCC constitution some Heads of Departments and Services are supposed to serve a five-year term, renewable ones, but most of these officials have served more than two terms. This decision was arrived at during a staffing meeting that took place at the Presbyterian Church Centre in Kumba, Saturday, May 28, chaired by the Moderator, Right Rev. Dr Festus Ambe Asana. The recent changes also saw the transfer of pastors to different parishes while the newly inducted ones were commissioned into their various parishes. There have also been some minor changes of staffs in Presbyterian schools and colleges. The PCC Health sector is also expected to be revived with the coming of Dr. Nchifor and his wealth of experience. It would be recalled that some controversy over financial improprieties rocked the PCC especially in the Education Secretariat in recent times. Quizzed during CRTV Buea radio programme, Press Club, on what action he was going to take, few weeks after his induction, Rt. Rev. Dr Festus Asana said he was studying the matter step by step. In his words: "I catch my chicken from the legs and not from the feathers." The news of Baboni’s replacement was greeted with hilarity by some PCC teachers. According to them, Baboni was living in affluence while they wallowed in poverty. He was nicknamed Mugabe of PCC because they said he believed he was untouchable. The teachers, at one point in time, sneaked into his compound and took snap shots to show the world how wealthy he was and it resulted in court case. Reacting to the changes, the President of Christian Men Fellowship, CMF, Ntumfor Barrister Nico Halle said: "PCC has a well constituted staffing committee. The changes are in line with the vision of the current Moderator, Rt. Rev. Festus Asana, who made the expression upon his election that peace has come to the PCC. I personally think that, by God’s grace, the changes will move the church forward". Meanwhile, all efforts to reach the Moderator for comments were futile.